So you’ve bought yourself a gaming PC or built one from scratch. Now it’s sitting in pride of place in your office, just waiting to be pushed to its limits. Whatever the origin, that humming mass of silicon and plastic is in need of superior software to take it to said limits. The catch? You’ve blown all your cash on your rig and now your bank balance is looking decidedly depleted. The solution? Our carefully collated collection of complimentary curatives, of course. These 10 free Windows apps will help turn your burgeoning beast into a towering powerhouse, enabling you to track frame rates, voice chat with ease, and stream like a seasoned pro. Okay, this one’s an easy sell. If you’ve built or bought a shiny new PC for the express purpose of gaming, there’s one piece of software you simply won’t be able to live without: good ol’ Steam. We love it here at TechRadar, and we’re pretty sure you’ll have a lot of affection for it too. Steam gives PC owners the kind of secure, professional ecosystem normally associated with closed–box consoles. You can search for free–to–play games, inexpensive indies or full blown triple–A titles, and launch them directly from the software. There’s even support for achievements, plus Big Picture mode for gaming from your sofa. If you want to organize secure meetings or record multiple contributors to a podcast or game session, you need to be able to rely on a strong and robust VPN (virtual private network). As you might have guessed since it’s included in this list LogMeIn Hamachi is totally free to use, but don’t let the absence of a price tag scare you off – free most definitely does not equal 'cheap'. Hamachi enables you to establish an airtight network between multiple computers and do everything from sharing files to playing private games, using a super–secure P2P protocol to ensure it can smoothly access servers, firewalls and routers. It boasts one of the simplest interfaces we’ve ever used in the world of VPNs, so if you’re relatively new to the concept, Hamachi won’t make you feel a total noob. Razer, as a long established maker of PC gaming peripherals, also makes some very powerful free software to optimize your machine. Of course, there are areas of the suite that will lead you to some of Razer’s premium apps, but there’s still a lot of gratis gold to be mined from Razer Cortex: Game Booster. It’s been designed to work with every kind of PC, so whether you’re rocking a basic build or a souped–up monster of a rig, Game Booster has something to offer your machine. Whether you’re using Steam, Origin or any other platform to launch your games, Game Booster will start trying to enhance your settings to improve your experience automatically. 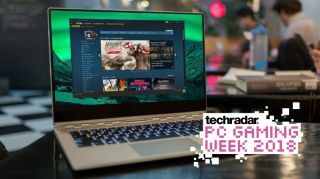 It’s a really clever bit of free software for your gaming PC, and it’s ideal if you're looking for a little extra improvement without much effort. It’s also great if you want to make an older PC work a little harder. Gaming can be a great source of escapism, but few things compare to joining up with your friends online for a good chat over your headset. Whether you want to link up on World of Warcraft or simply chew the fat while everyone is playing their own thing, a great a VoIP (voice over internet protocol) app is essential. There are a lot of options out there when it comes to voice chat, but our favorite VoIP app is TeamSpeak. You can connect to your friends with ease, and its suite of options is seriously impressive, enabling you to tune sound levels, employ echo reduction and even use encryption. TeamSpeak is free for everyday non-commercial PC use, though you'll have to open your wallet to rent a server or use the mobile app. MSI originally wrote Afterburner to overclock its own range of graphics cards, but the software has since been opened up to enable Nvidia and AMD card owners to push their hardware to the limit. If you have even a passing interest in making your new gaming PC's graphics card earn its price tag, free optimization software MSI Afterburner is essential. Think of MSI Afterburner as the way to unlock the inner potential of your GPU – the software opens up the voltage settings of your chosen bit of hardware and enables you to improve its overall performance. Video memory and clock speed are the two areas MSI Afterburner shines the most when it comes to overclocking your machine. Be warned, though – mucking about with this settings can seriously overheat your rig, so make sure your cooling unit is set to full blast before you start cooking your GPU. You’ve got your new PC, a stable internet connection and an unhealthy obsession with gaming. There’s only one way this is going to go: streaming. There are plenty of options out there when it comes to broadcasting your games, but far too many constrict you with unnecessary limitations. That’s where OBS Studio comes in – a brilliantly customizable piece of freeware that enables you to stream to your own server or a variety of popular portals (including Twitch, DailyMotion and more). Setting up OBS Studio is really easy too, so if you’re relatively new to the streaming scene you won’t get lost amid all those options. Should you want to get a little more advanced, there’s the option to adjust your webcam footage and add images/graphics to add that extra level of professionalism. OBS Studio also supports HD streaming, so if you’re into broadcasting with a higher level of quality you can maintain your pristine image online. Away from your smartphone, gaming sessions usually mean long stretches in front of your display, straining those peepers of yours in the quest for trophies and achievements. It’s a fine old life, but it’s not going to do your eyes any good in the long run. One potential solution is a piece of software specifically designed to make your monitor that bit less damaging over long periods. One such option is f.lux, and it’s especially useful if you like getting in your gaming hours later at night with the lights down low. This free Windows app works by dynamically adjusting the colour temperature of your display depending on the time of day and the light sources in the place you have your new gaming PC PC set up. It will help reduce eye strain and potentially improve sleep patterns when gaming later in the evening. It's also pretty tiny, and won't gobble up system resources better used by your favorite games. Much like MSI Afterburner and f.lux, CPU–Z is all about fine–tuning your beloved PC gaming machine into a well–oiled, well, machine. It’s certainly not an attractive program, but it’s the kind of back end kit you should really try if you want to get your PC in the best possible condition (especially if you’re trying to break into the eSports scene or you’re building a career in streaming). CPU–Z enables you to review all kinds of detailed information about various areas of your PC in a fairly straightforward format. It’s certainly not for the faint hearted, but it’s definitely worth spending some time with if maximizing PC performance is your bag. You can see what's going on in real time, and save reports at any time in TXT or HTML format. Whether you realize it or not, your gaming PC or laptop is full of files and various bits of digital detritus you simply don’t need. All those extra bits and bobs take up valuable space, and that means said PC is going to run slower and slower as time goes by. Not the kind of situation you want with a gaming–dedicated rig. The solution: a proper cleaning utility like Piriform CCleaner. It can delete temporary files and broken Windows registry entries automatically, and identify software your system doesn’t need. There is a caveat, though: CCleaner is very powerful, so make sure you check its settings before turning it loose on your machine to avoid accidentally deleting anything you'd rather hang onto (saved passwords in your web browser, for example). Still, CCleaner is an excellent free app for your new gaming PC. Another great option for cleaning up and optimizing your Windows PC is Iolo System Mechanic. There isn't much benefit in running both, but this would be our preference if you're not too confident tinkering with software settings yourself and would prefer a wizard-based program to make the decisions for you. You'll need to invest in the premium version of System Mechanic if you want extra tools like real-time optimization, but for clearing out the cruft from your system without the worry that you might accidentally delete something important, the free edition is hard to beat.